This month, we are extending the Featured Business of the Month, Callao Supermarket, until March 15, 2018. 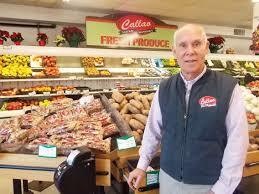 This month is Callao Supermarket’s 70th Year in business!! We want to celebrate this monumental event and give Callao Supermarket and their employee’s a big thank you and congratulations with an extra month of the Featured Business of the Month from the Northumberland Chamber of Commerce! If your business is expecting a special occasion and/or you would like to be highlighted as Business of the Month, please contact Cheryl at the admin@northumberlandcoc.org.